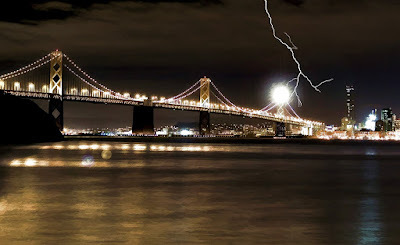 Taking a file shot I had of the Oakland Bay Bridge, I carefully blended in a lightning bold captured recently off my back porch in North Carolina. Here is the result. The WHITE flash is a simulated lightening strike on the south bridge tower. I used some sketching strokes to simulate rain. Hope you enjoy my post-processing efforts. 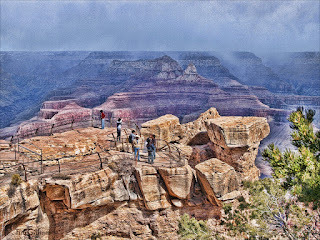 The lookout at Mather's Point takes on a mystical appearance, as the snowfall comes into view on the North Rim. This image was post-processed in Photoshop and then filtered with Topaz Adjust. Eagle Overhead - designed as a masthead for publication. Probably will NEVER get used, but was working out in GIMP2 this weekend and created this from two of my images. Enjoy! 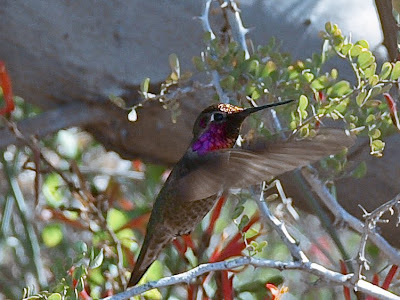 A hummingbird, thought I had lost it in my viewfinder as it buzzed across my viewfinder screen. The "Irish" must have been on my side this day. I captured this beautiful Ruby Throated Hummingbird in flight. Enjoy! Repost of "Heather's Moon." Trojan attached itself in a comment. I hope NO ONE opened the comment. I have cleansed this upload and it is certified CLEAN. Afternoon shot of Moon and Gumball tree in my daughter's yard. 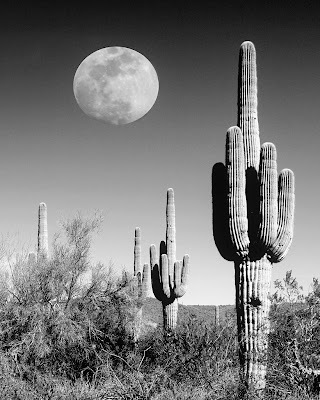 Best time to shoot the Moon is when it is directly above the camera. This afternoon shot is still very sharp. I could have closed the lens down, as light was available, even then the "Depth of Field" would have prevented the Gumball Tree and the Moon from both being in focus.